Intramuscular Stimulation (IMS) is a physiotherapy treatment option for myofascial neuropathic pain. This type of pain often arises and persists indefinitely in the absence of a detectable permanent injury or inflammation. Chronic pain is often complex, neurological and does not typically show up on X-rays, MRI’s and CT Scans. IMS treatments are used when nerves malfunction following a trauma. This trauma can cause nerves to become extremely sensitive potentially leading to muscle tightness and other issues. IMS treatment aims to relieve and release tight bands within the muscles that are responsible for shortening and compression across the joints causing pain, inflammation and restriction. Typically, the tight bands do not respond to stretching or massage. Intramuscular stimulation is dependent on a specific and thorough physical examination. 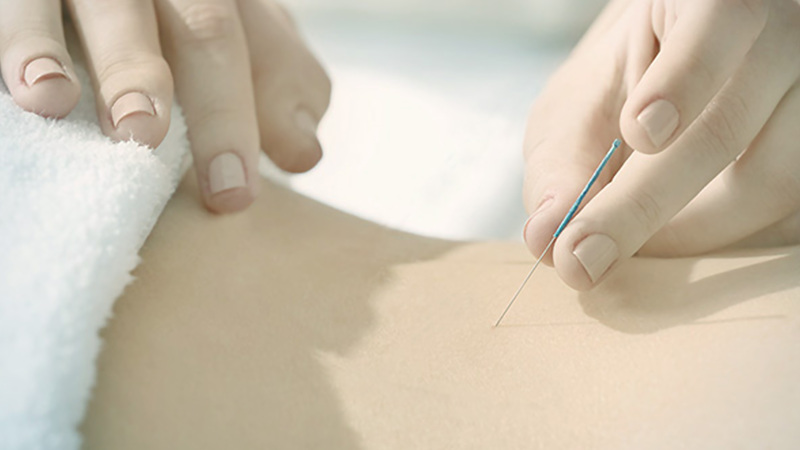 It involves the insertion of extremely fine solid needles into tight bands within muscles to cause a release of the tightness. Often the response to such treatment is a twitch, a deep achy sensation or a pressure. At MYAH Physiotherapy and Wellness, Physiotherapists with the designation of IMS have completed special training to administer this form of treatment.